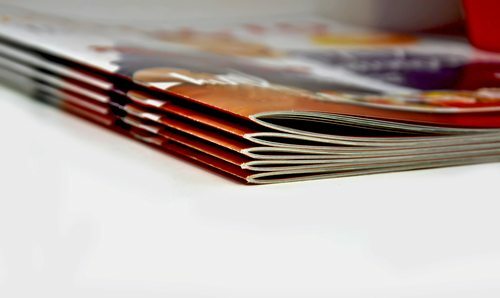 Booklet printing is one of the most creative ways to present your printed materials, representing your company and brand. You can use printed booklets as key advertising tools in various formats including newsletters, price lists, annual reports, catalogues, instruction manuals or magazines. These make great materials for broadcasting information about your brand and products. When it comes to booklet printing, you must trust only the experts. Fortunately, in Cliffe Enterprise, you have one of the leading booklet printers in UK to work on your project. Print Management and booklet printers, why choose us? You cannot trust the task of printing booklets to just anyone. It is the marketing face of your business with information about your brand and products, making it a great marketing tool. At Cliffe Enterprise, we boast a team of highly skilled booklet printers who have wide experience of creating best selling booklet designs, layouts, formats and size. Cliffe Enterprise contracts with the best in class suppliers for booklet printing within the UK print market. This enables us to place your project with the best suited booklet printers, ensuring that you are always achieving the best value for money for each job. Our strategic suppliers use the latest state-of-the-art equipment to ensure you receive the premium quality printing and finishing results with manufacturing lead times to satisfy the most demanding delivery schedules. With access to sophisticated and state-of-the-art equipment, we work with you at every step to create exciting formats, innovative and creative designs and appealing content that will have a huge impact on your prospective customers. As experts, we have a range of printing options and can print excellent quality books in full-colour or mono, depending on client needs and preferences. Additionally, we boast a wide choice of paper stocks, from uncoated paper to gloss, recycled paper, matt coated and silk coated, to suit budgets and project needs of different clients. We pay attention to detail and work tirelessly to give you quality solutions at the most competitive prices that will make your booklet stand out from the crowd. With attractive outlines, in-depth and up-to-date information, booklets are undoubtedly worthwhile assets for your business. If you seek a reliable print management company, let Cliffe Enterprise help you with our affordable yet great quality booklet printing services! As master booklet printers, we understand the importance of a booklet to your business and thus use our printing experience and skills to create attractive designs and visual content. If managing your booklet printing seems like a time consuming process, call the experts at Cliffe Enterprise today. We are here to help!